Robert Slavin is director of the Center for Research and Reform in Education at Johns Hopkins University, a part-time professor at the Institute for Effective Education at the University of York (England), and chairman of the Success for All Foundation. He received his B.A. in psychology from Reed College in 1972 and his Ph.D. in social relations in 1975 from Johns Hopkins University. He has authored or co-authored more than 300 articles and book chapters on such topics as cooperative learning, comprehensive school reform, ability grouping, school and classroom organization, desegregation, mainstreaming, research review and evidence-based reform. He is the author or co-author of 24 books, including Educational Psychology: Theory into Practice (Allyn & Bacon, 1986, 1988, 1991, 1994, 1997, 2000, 2003, 2006, 2009); Cooperative Learning: Theory, Research, and Practice (Allyn & Bacon, 1990, 1995); Show Me the Evidence: Proven and Promising Programs for America’s Schools (Corwin, 1998); Effective Programs for Latino Students (Erlbaum, 2000); Educational Research in the Age of Accountability (Allyn & Bacon, 2007); and Two Million Children: Success for All (Corwin, 2009). 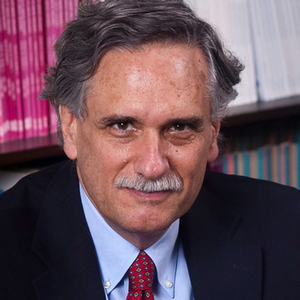 He received the American Educational Research Association’s Raymond B. Cattell Early Career Award for Programmatic Research in 1986; Palmer O. Johnson award for the best article in an AERA journal in 1988; Charles A. Dana award in 1994; James Bryant Conant Award from the Education Commission of the States in 1998; Outstanding Leadership in Education Award from the Horace Mann League in 1999; Distinguished Services Award from the Council of Chief State School Officers in 2000; AERA Review of Research Award in 2009; and Palmer O. Johnson Award for the best article in an AERA journal in 2008; and was appointed as a member of the National Academy of Education in 2009 and an AERA fellow in 2010. 1975 – 1978 Associate Research Scientist, Center for Social Organization of Schools, Johns Hopkins University. 1972 – 1973 Teacher, Aloha Children’s Center (children with mental disabilities), Aloha, OR. Honorary Doctorate, University of Ghent, Belgium, 2008. Slavin, R. E. (2015). Educational psychology: Theory into practice (11th Ed.). Boston: Pearson. Slavin, R.E. (Ed.) (2014). Proven programs in education: Science, technology, and mathematics (STEM). Thousand Oaks, CA: Corwin. Slavin, R.E. (Ed.) (2014). Proven programs in education: Classroom management and assessment. Thousand Oaks, CA: Corwin. Slavin, R.E., Madden, N.A., Chambers, B., & Haxby, B. (2009). Two million children: Success for All. Thousand Oaks, CA: Corwin. Slavin, R.E. (2007). Educational research in the age of accountability. Boston: Allyn & Bacon. Morris, D., & Slavin, R. (2003). Every child reading. Boston: Allyn & Bacon. Borman, G., Stringfield, S., & Slavin, R.E. (Eds.) (2001). Title I: Compensatory education at the crossroads. Mahwah, NJ: Erlbaum. Slavin, R.E., & Madden, N.A. (Eds.) (2001). Success for All: Research and reform in elementary education. Mahwah, NJ: Erlbaum. Slavin, R.E., & Madden, N.A. (Eds.) (2001). One million children: Success for All. Thousand Oaks, CA: Corwin. Slavin, R.E., & Calderón, M. (Eds.) (2001). Effective programs for Latino students. Mahwah, NJ: Erlbaum. Slavin, R.E., & Fashola, O.S. (1998). Show me the evidence: Proven and promising programs for America’s schools. Thousand Oaks, CA: Corwin. Slavin, R.E. (1997). Education for all. Lisse, The Netherlands: Swets & Zeitlinger. Slavin, R. E., Madden, N. A., Dolan, L. J., & Wasik, B. A. (1996). Every child, every school: Success for All. Thousand Oaks, CA: Corwin. Slavin, R. E., Karweit, N. L., Wasik, B. A., & Madden, N. A. (Eds.). (1994). Preventing early school failure:Research, policy, and practice. Boston: Allyn & Bacon. Slavin, R. E. (1994). Using Student Team Learning (4th Ed). Baltimore, MD: Johns Hopkins Team Learning Project. Slavin, R. E., Madden, N. A., Karweit, N. L., Dolan, L. J., & Wasik, B. A. (1992). Success for All: A relentless approach to prevention and early intervention in elementary schools. Arlington, VA: Educational Research Service. Slavin, R. E., Karweit, N. L., & Madden, N. A. (Eds.) (1989). Effective programs for students at risk. Boston, MA: Allyn and Bacon. Slavin, R. E. (Ed.) (1989). School and classroom organization. Hillsdale, NJ: Erlbaum. Slavin, R. E., Leavey, M. B., & Madden, N. A. (1986). Team Accelerated Instruction – Mathematics. Watertown, MA: Charlesbridge. Slavin, R. E., Sharan, S., Kagan, S., Hertz-Lazarowitz, R., Webb, C., & Schmuck, R. (Eds.). (1985). Learning to cooperate, cooperating to learn. New York: Plenum. Slavin, R. E. (1992). Research methods in education: A practical guide (2nd Ed.). Englewood Cliffs, NJ: Prentice-Hall. Slavin, R. E. (1988). Student Team Learning: An overview and practical guide (2nd Ed.). Washington, D.C.: National Education Association. Slavin, R. E. (1987). Cooperative learning in student teams: What research says to the teacher. Washington, D.C.: National Education Association. DeVries, D. L., Slavin, R. E., Fennessey, G. M., Edwards, K. J., & Lombardo, M. (1980). Teams-Games-Tournament: The team learning approach. Englewood Cliffs, NJ: Educational Technology Publications. Slavin, R. (in press). Evidence-based reform in education. Journal of Education for Students Placed at Risk. Slavin, R., & Cheung, A. (in press). Lessons learned from large-scale randomized experiments. Journal of Education for Students Placed at Risk. Slavin, R., Collins, M., Friedman, D., Repka, M., Mudie, L., Owoeye, J., … & Corcoran, R. (2017). In plain sight: Reading outcomes of providing eyeglasses to disadvantaged children. Manuscript submitted for publication. Madden, N. A., & Slavin, R. E. (2017). Evaluations of Technology-Assisted Small-Group Tutoring for Struggling Readers. Reading & Writing Quarterly, 1-8. http://dx.doi.org/10.1080/10573569.2016.1255577 Slavin, R. (2017). Remembering Sam Stringfield. Journal of Education for Students Placed at Risk, 2 (1), 6-7. Cheung, A., & Slavin, R.E. (2016). Effects of Success for All on reading achievement: A secondary analysis using data from the Study of Instructional Improvement (SII). AERA Open, 2 (4), 1-10. Baye, A., Lake, C., Inns, A., & Slavin, R. (2016). Effective reading programs for secondary students. Manuscript submitted for publication. Slavin, R. E., & Chambers, B. (2016). Evidence-based reform: Enhancing language and literacy in early childhood education. Early Child Development and Care. http://dx.doi.org/10.1080/03004430.2016.1211121 Slavin, R. E. (2016). Getting to scale: Evidence, professionalism, and community. Journal of Education for Students Placed at Risk, 21 (1), 60-63.. Chambers, B., Cheung, A., & Slavin, R. (2016). Literacy and language outcomes of balanced and developmental-constructivist approaches to early childhood education: A systematic review. Educational Research Review 18, 88-111. Cheung, A., Slavin, R.E., Kim, E., & Lake, C. (2016). Effective secondary science programs: A best-evidence synthesis. Journal of Research on Science Teaching, 54 (1), 58-81.. Cheung, A., & Slavin, R. (2016). How methodological features affect effect sizes in education. Educational Researcher, 45 (5), 283-292. Hanley, P., Böhnkel, J., Slavin, R. E., Elliott, L., & Croudagc, T.J. (2016). Let’s Think Secondary Science: Evaluation report. London: Education Endowment Foundation. Taylor, J., Furtak, E., Kowalski, S., Martinez, A., Slavin, R. E., Wilson, C., & Stuhlsatz, M. (2016). Research syntheses in science education: Cross-case analyses and implications for research design, replication, and reporting practices. Journal of Research in Science Teaching. This study evaluates Vision to Learn (VTL), a Los Angeles-based charity, which has specially equipped busses that enable it to test many children from a given school each day. VTL uses philanthropic funding to pay for initial testing and provision of free glasses, but over time it makes arrangements to sustain their services with Medicaid funding. VTL itself has only been evaluated in a small study in Los Angeles, though its practices are similar to those found to be initially effective in the Johns Hopkins study. A large cluster randomized trial will be used to determine achievement effects of VTL services. Combines funding from Arnold and Abell. We are carrying out a rigorous cluster-randomized evaluation of the provision of school-based vision assessments and eyeglasses to students who need them in high-poverty schools. The study involves 127 elementary and middle schools in Baltimore randomly assigned to either receive glasses or to continue as before (the control group will receive medically necessary glasses one or two years later). Combines funding from Abell and Arnold. This study extends our work beyond Baltimore to determine how much the impact of receiving free glasses on academic performance can be improved in the Chicago Public School District. We will engage teachers, principals, parents, and children, and evaluate the effect of professional development materials and other strategies to encourage students to wear their glasses every day, to take care of them, and to seek replacements if necessary. This grant supports the following key objectives: (1) create customized digital products, specifically the Best Evidence in Brief newsletter, to communicate research findings with diverse audiences, (2) continue regular blog posts for the Huffington Post, and (3) continue and expand the role of our center’s public policy representative. CRRE is the third-party evaluator for Texas A&M University in the study of their English Language and Literacy Acquisition (ELLA) program under the Investing in Innovation Fund (i3) validation grant awarded to them by the Department of Education. We are conducting a randomized, controlled trial to validate the individual interventions of Project ELLA and determine the degree of impact on English acquisition for native Spanish-speaking students in grades K-3. This research is estimated to impact 75 elementary school campuses, 600 teachers, and 15,000 students across the state of Texas.